For serious bidders unable to attend the Gala, please contact our office at 832.581.3592 and we will happily facilitate a bid-by-proxy. Veteran and one of Art Glass Today’s top artist, Studio Director Doug Frates, of Doug Frates Glass, announced his donation piece for Lone Survivor Foundation 2015 Houston Gala. 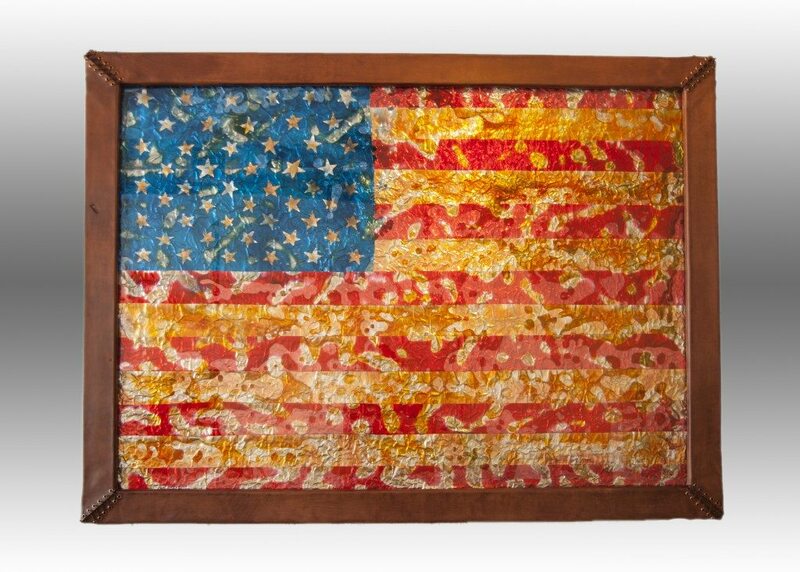 The panel piece, titled “Patriot,” is an astounding 71 by 54 inches and bound in a handmade leather frame. Doug Frates is internationally known for avant-garde pieces that stretch the visual and technical boundaries of the art glass industry. He left his hometown of St. Louis to enlist in the United States Marine Corps. As a Marine, he served in Iraq and after his tour of duty he found his inspiration and civilian career as a glassblower. Since then, he has become one of the world’s most recognized art glass producers. Studio Director Doug Frates is an expert of “fusing classic and modern design flare”. The meticulous technique he incorporates in all of his pieces, is one earned from over a decade of practice. With this level of expertise, his intricate creations are known for turning a fantasy into a glass reality. He has been on Art Glass Today as well as being ranked in the Top 60 Glass Artists in the World. Doug Frates is taking the glassblowing industry by fire. RumChata Freedom Bottle is BACK!